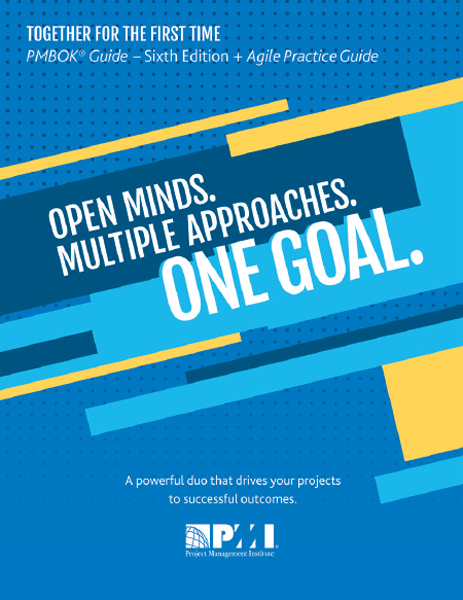 To support the broadening spectrum of project delivery approaches, PMI is offeringA Guide to the Project Management Body of Knowledge (PMBOK® Guide) – Sixth Edition along with the new Agile Practice Guide as one package. Agile Practice Guide has been developed as a resource to understand, evaluate, and use agile and hybrid agile approaches. This practice guide provides guidance on when, where, and how to apply agile approaches and provides practical tools for practitioners and organizations wanting to increase agility. This practice guide is aligned with other PMI standards, including A Guide to the Project Management Body of Knowledge (PMBOK® Guide) - Sixth Edition, and was developed as the result of collaboration between the Project Management Institute and the Agile Alliance. 75% OF YOUR PURCHASES GOES TO CHARITY.